Best time to visit: Anytime if it's not a hot day, as many of the trails are fully exposed to sunlight. 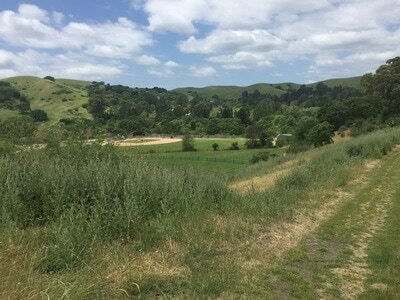 Description: Hike some of Lafayette's little-known trails surrounding the Lafayette sports field. 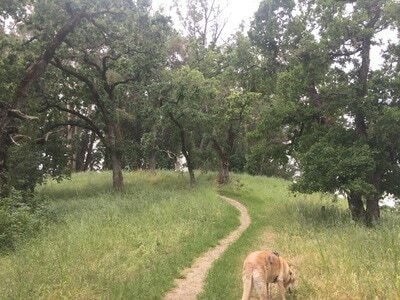 This hike begins from a trailhead that could be easily missed off of Rohrer Drive. 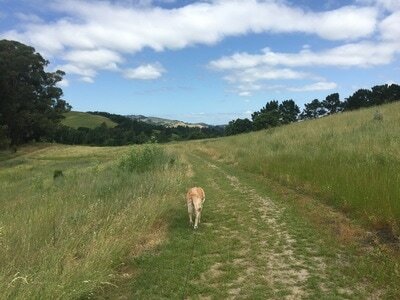 We took the wide trail to the left which headed down towards the sports field and had views of the surrounding hills. 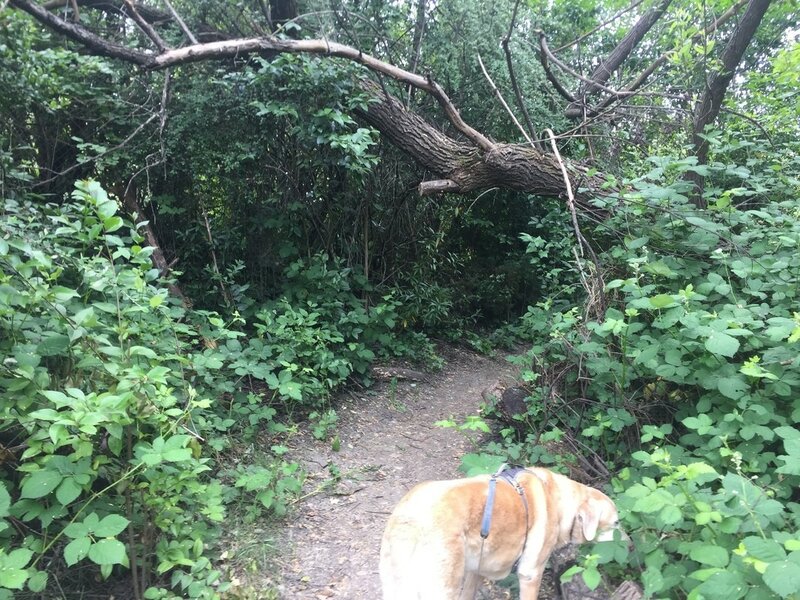 This trail splits to the right and winds around the back of the field. 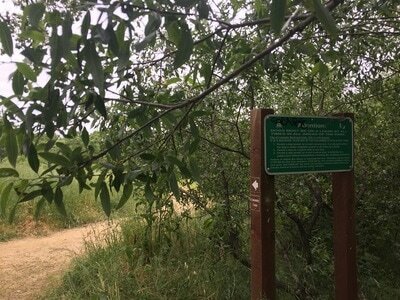 There's even a rope swing and picnic table where you can stop before continuing down the trail to the right. 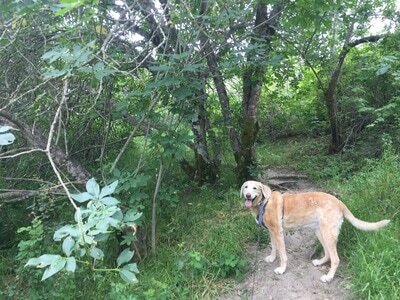 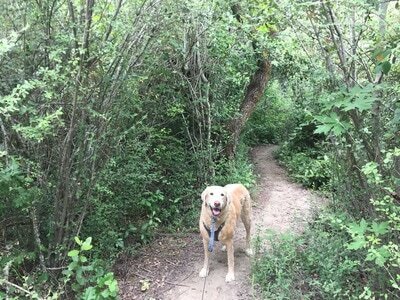 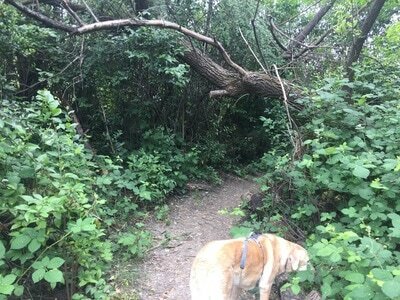 This trail heads downhill and leads to a short and shady nature loop trail, which takes you above the creek and into a shady forest of trees. 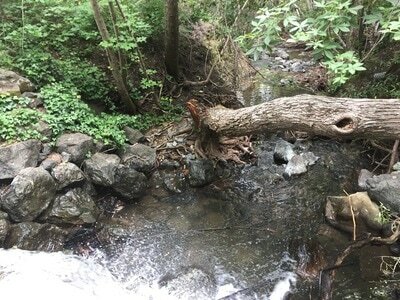 If you take it up, there are several wooden stairs that will lead you back up towards the rope swing. 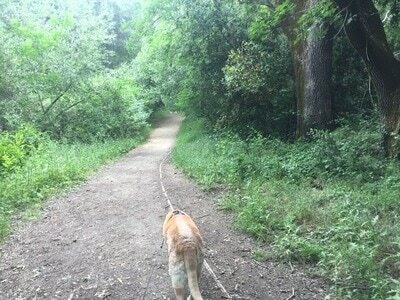 I would recommend saving the Nature Loop Trail for the hike back, and instead continuing along the main trail. This trail splits to the left, snakes along the creek, and leads to a long bridge crossing the creek and leading to a residential neighborhood. 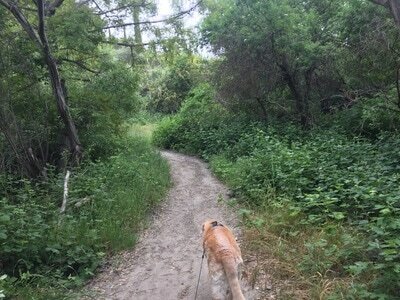 If you continue to your right the trail widens and opens up, and there another Nature Trail loop to your left. If you continue on the main trail, you'll pass a trash can. 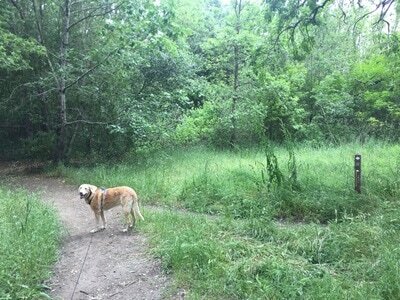 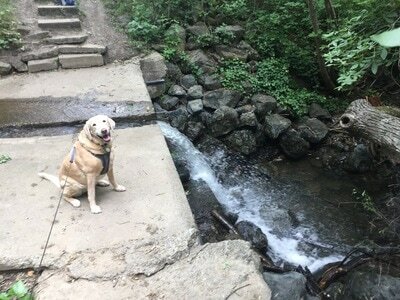 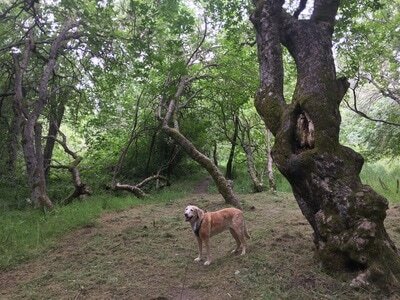 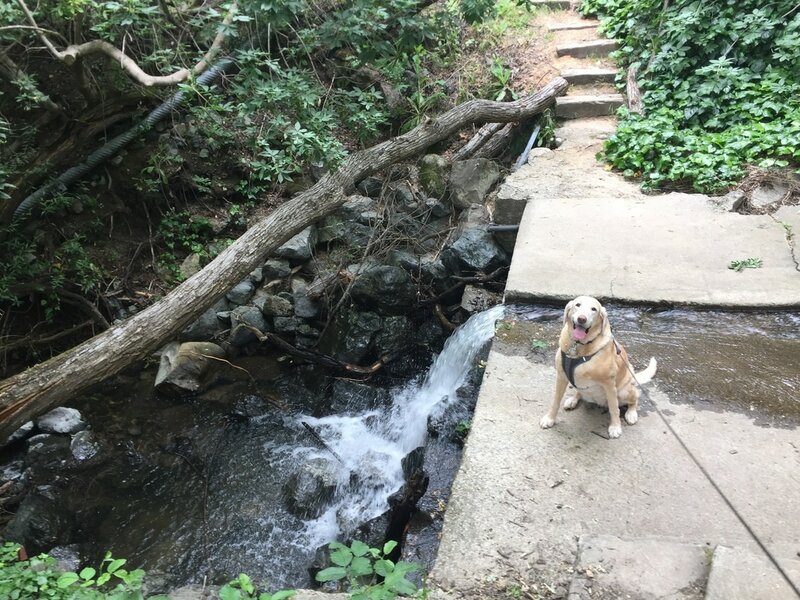 Continue to your right, you'll find a small trail to your left which leads down to Las Trampas Creek and a drop-off or mini waterfall. Continue along the main trail and you'll come to a trailhead off of Silverado Drive. 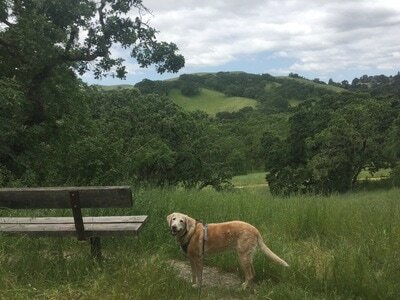 We continued uphill from here and rested on a beautiful bench overlooking the rolling hills. 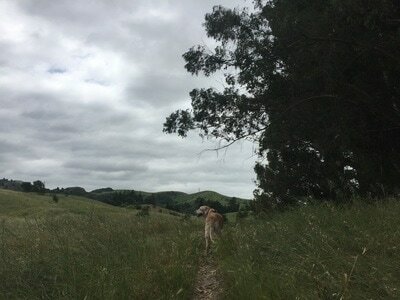 We continued up, through a forest of eucalyptus trees, and back downhill. 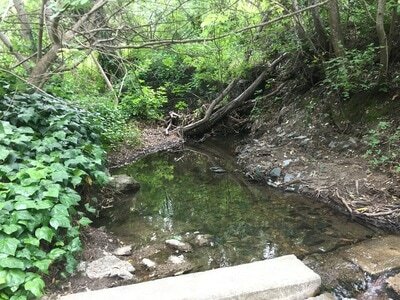 This trail converged with the original trail, only a short distance from the long bridge crossing the creek. 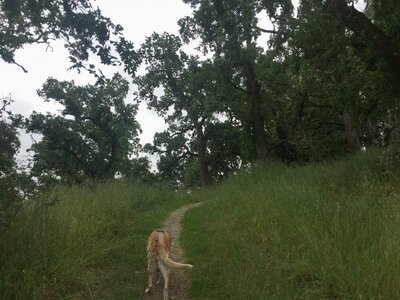 We retraced our steps back to the trailhead. 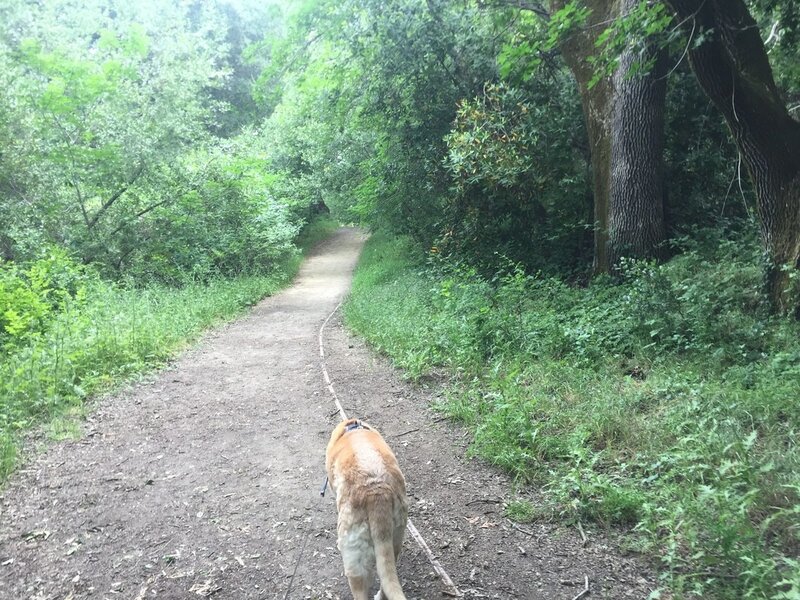 This entire hike, including the nature trail loops, was about 2.5 miles with a few hills and moderate elevation gain. 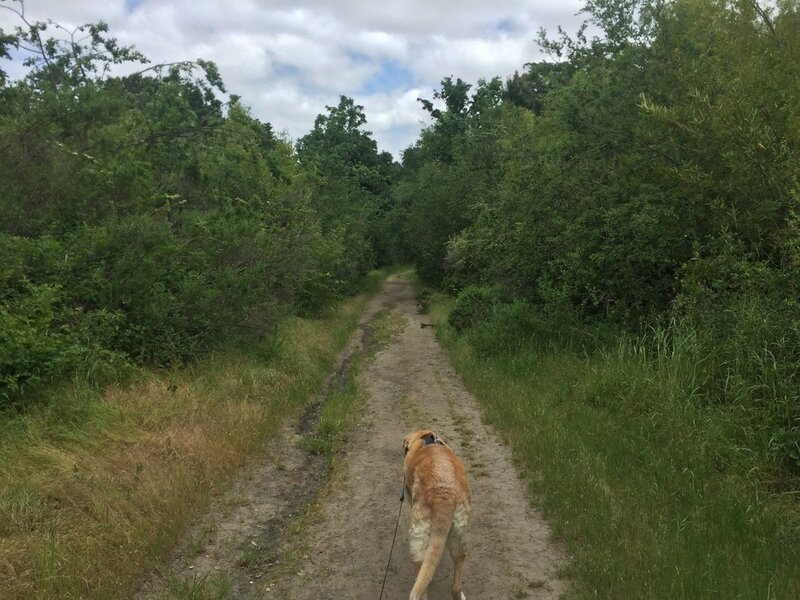 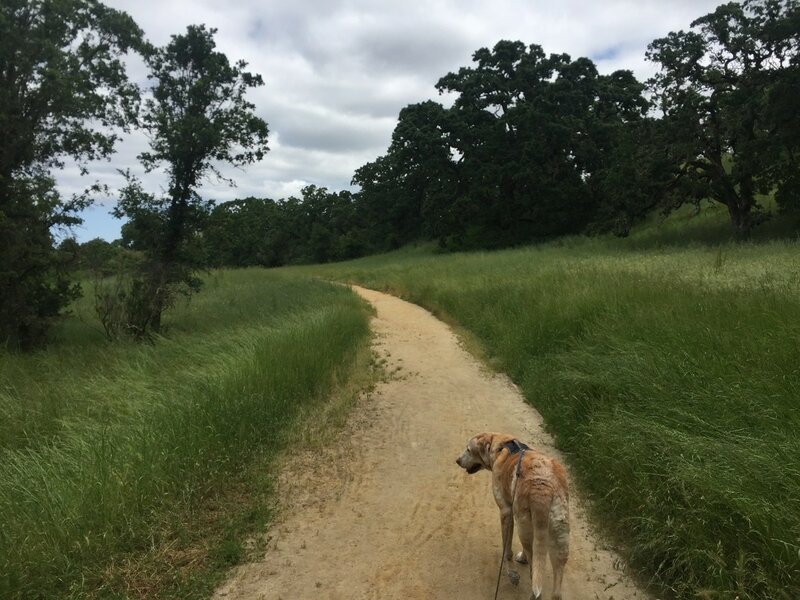 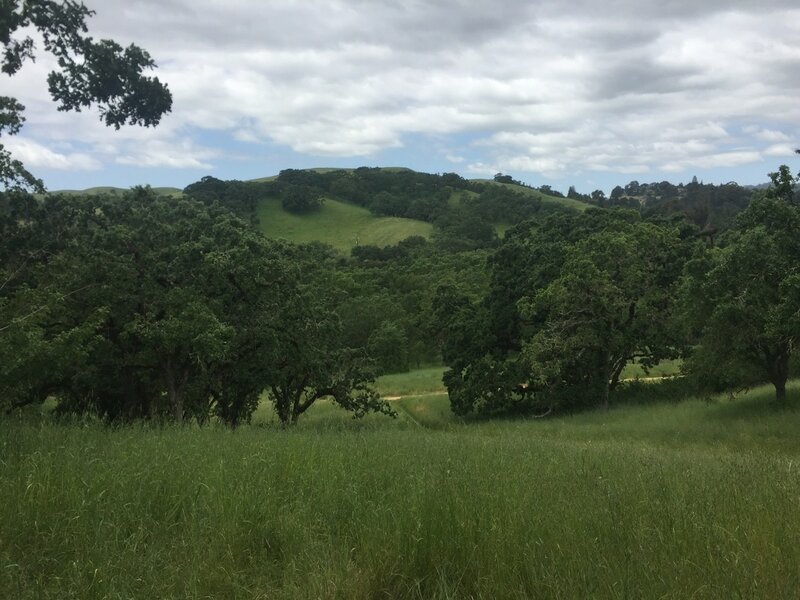 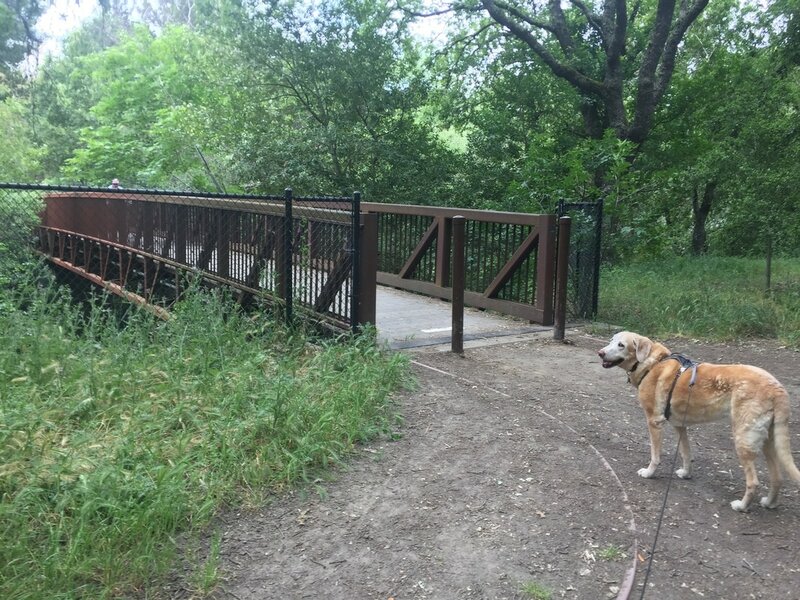 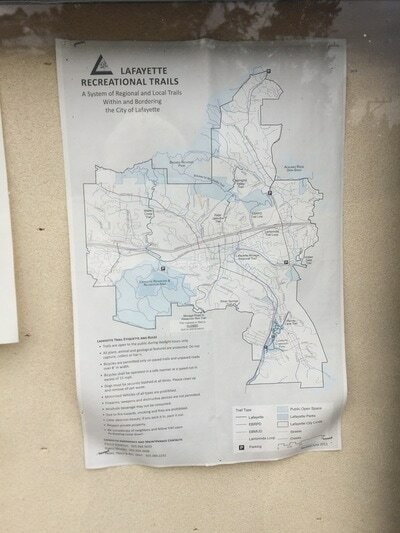 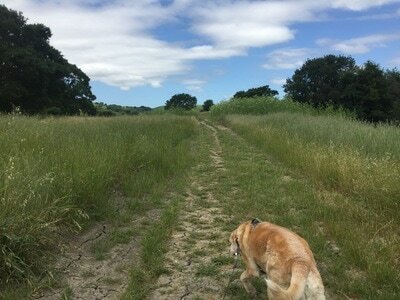 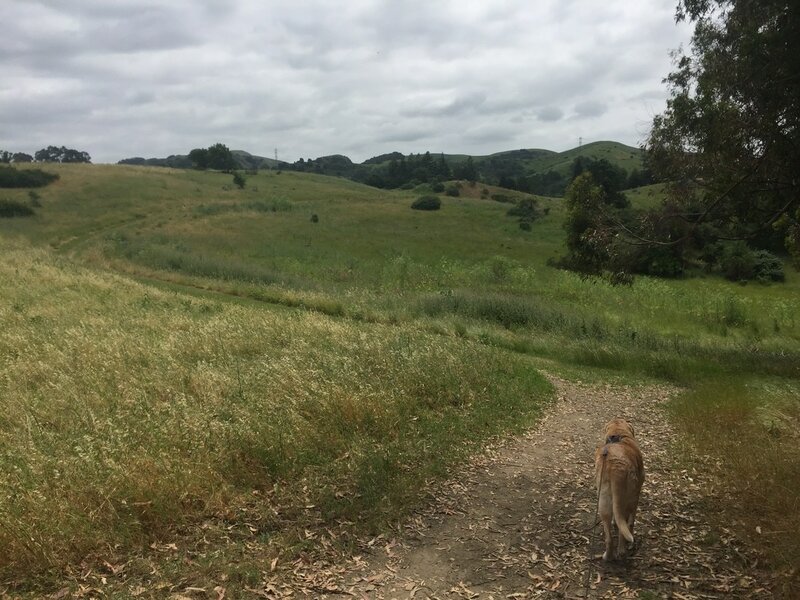 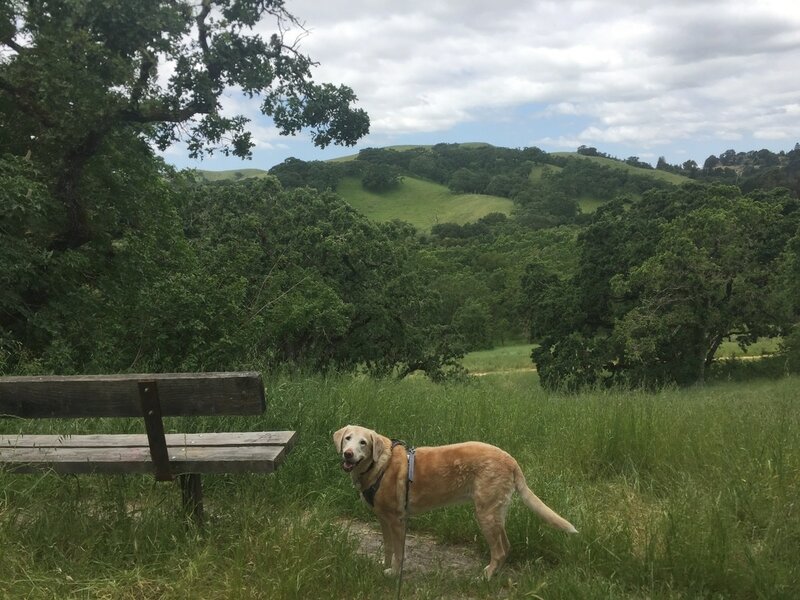 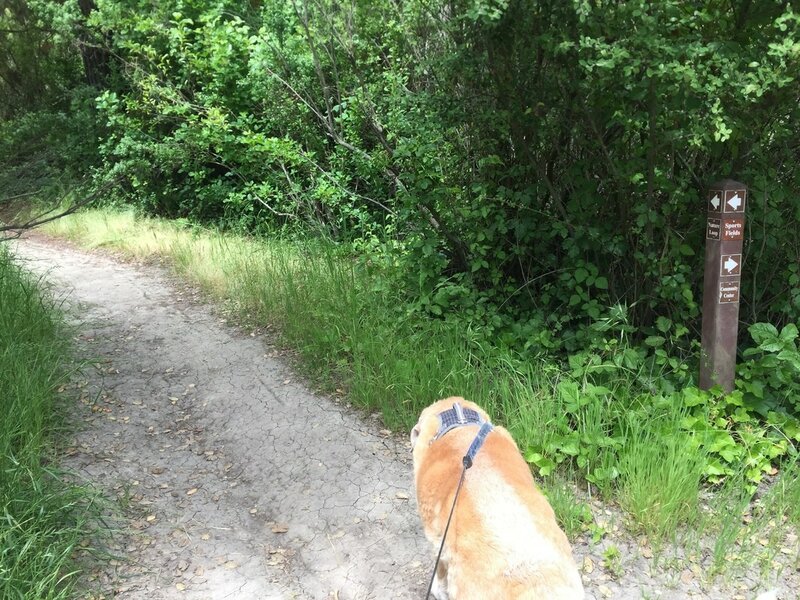 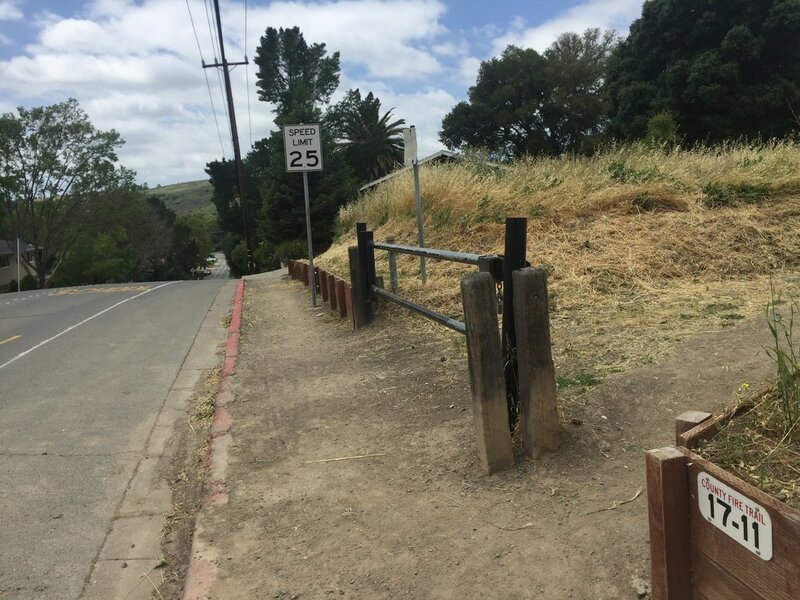 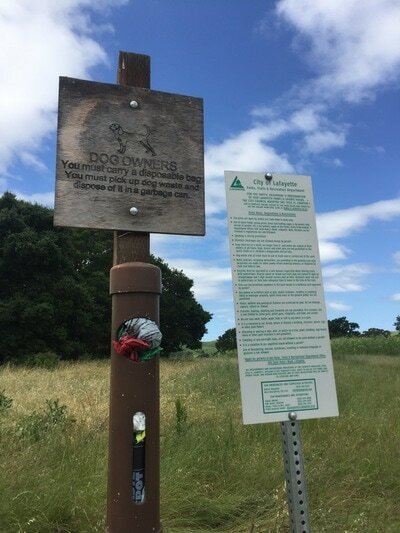 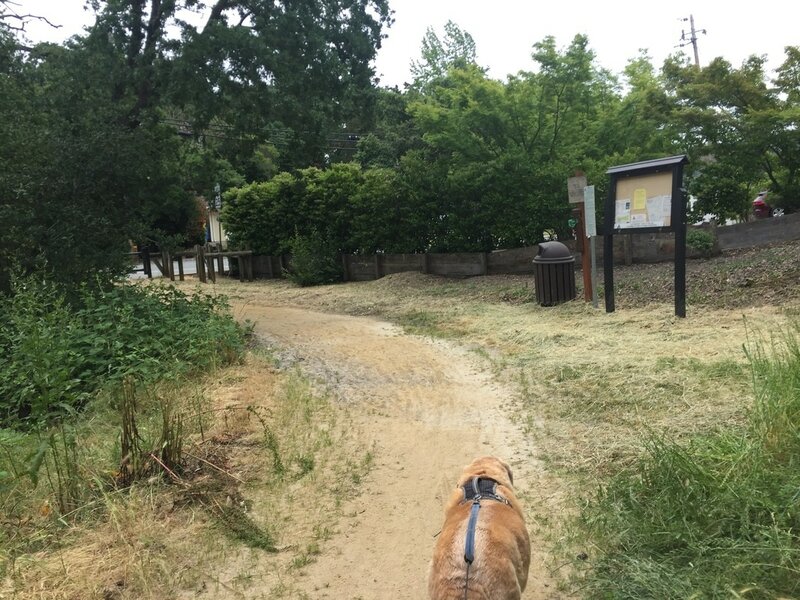 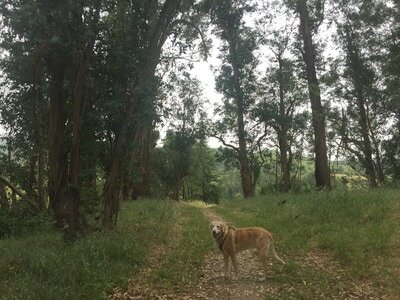 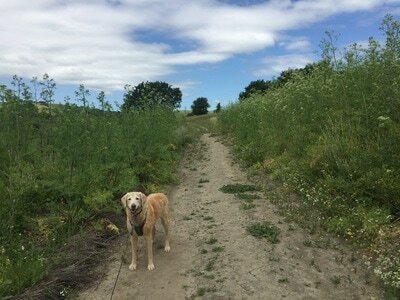 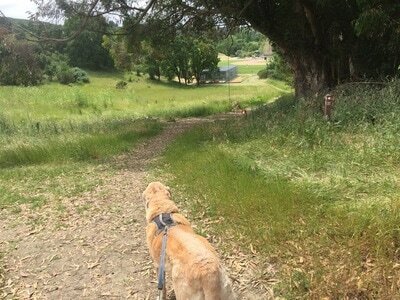 You can easily extend your hike by taking the nearby Lafayette-Moraga Regional Trail.